1. 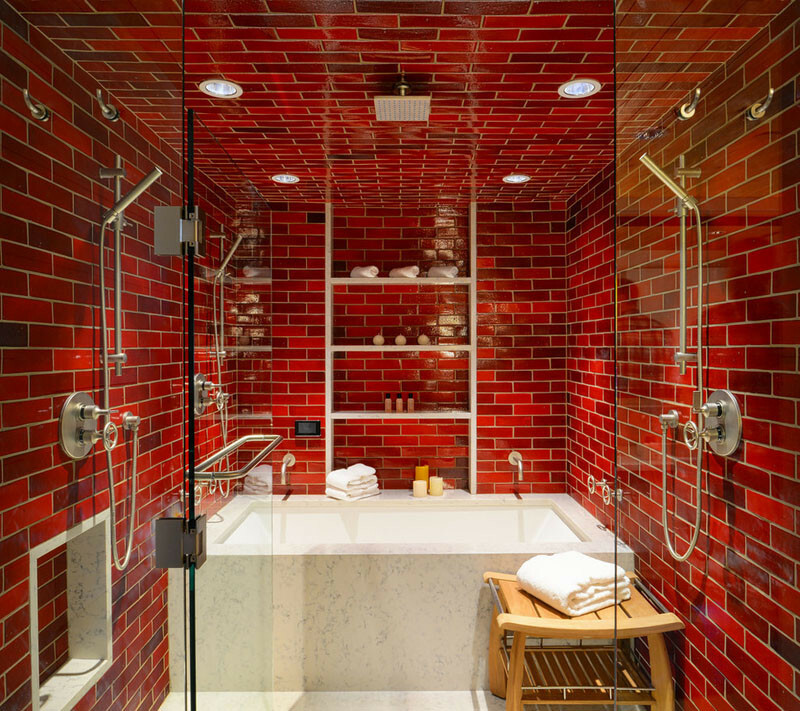 This bathroom uses multiple shades of red glass tiles to cover the walls and ceiling. 2. 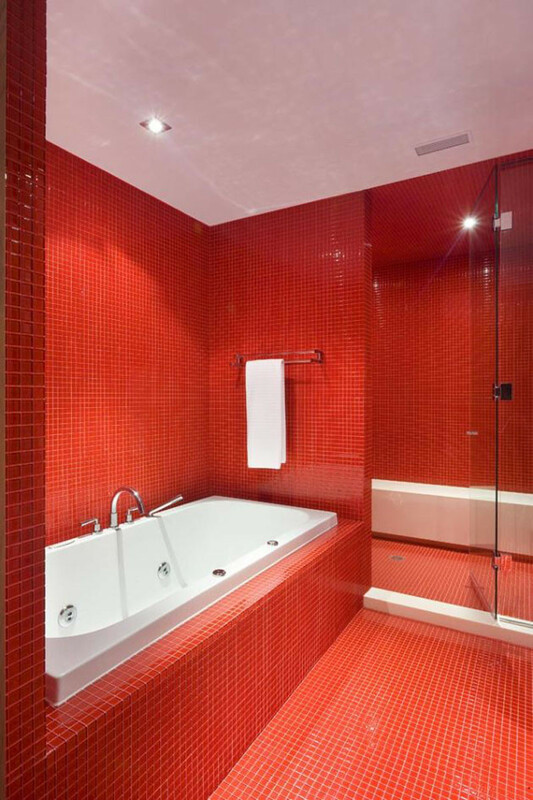 Red tile covers the entirety of the floor, walls, and bathtub surround, in this bright bathroom. Designed by Cindy Rendely Architexture. Photography by Tom Arban. 3. 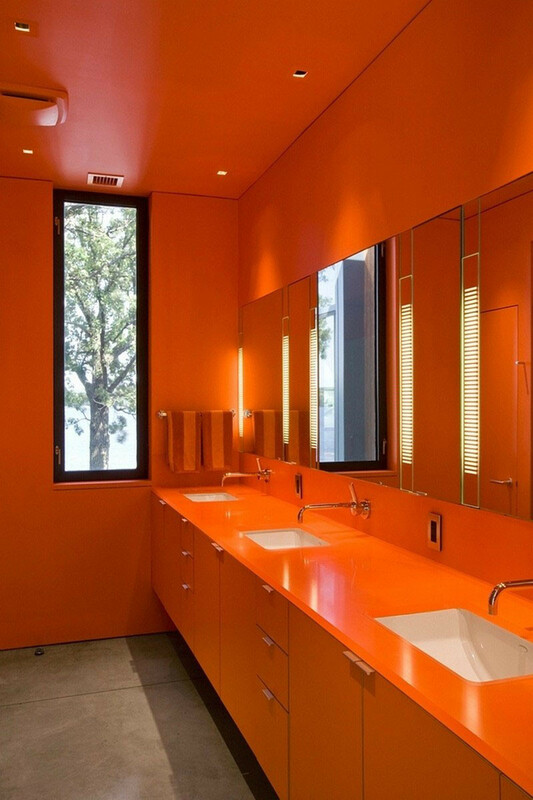 This orange bathroom would definitely wake you up in the morning. Designed by Min Day Architects. Photos by Paul Crosby. 4. 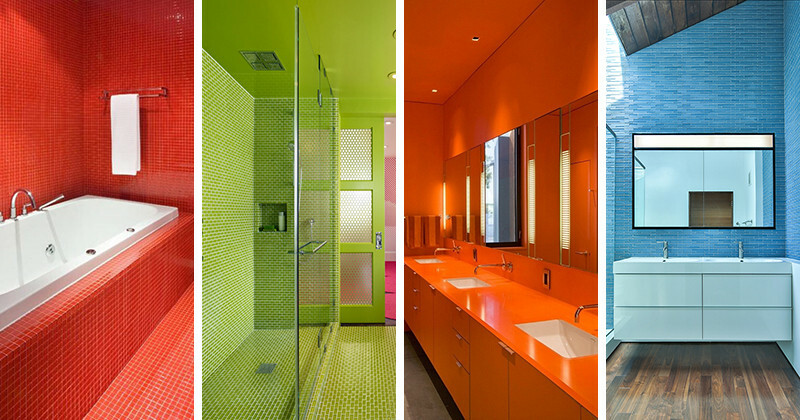 Even a white bathroom can have a bold colorful impact by having a single wall a different color. Designed by Roth Architecture. Photography by Murray Fredericks. 5. 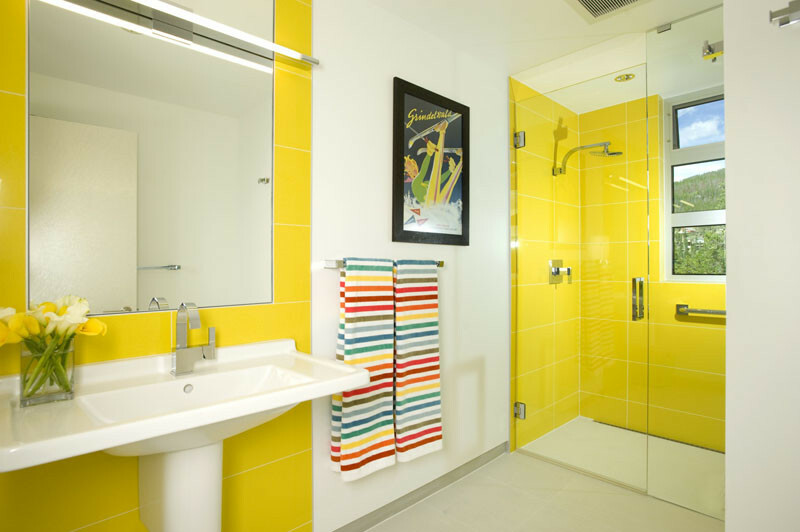 Bright yellow in this kids bathroom helps keep the mood cheerful. Designed by Allen-Guerra Architecture. Photography by Bob Winsett. 6. 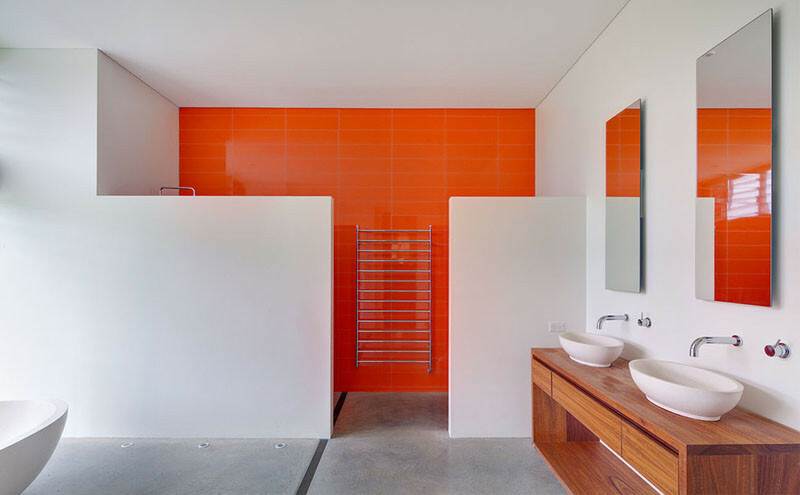 The green tile in the shower of this all white bathroom makes for a dramatic pop of color. 7. 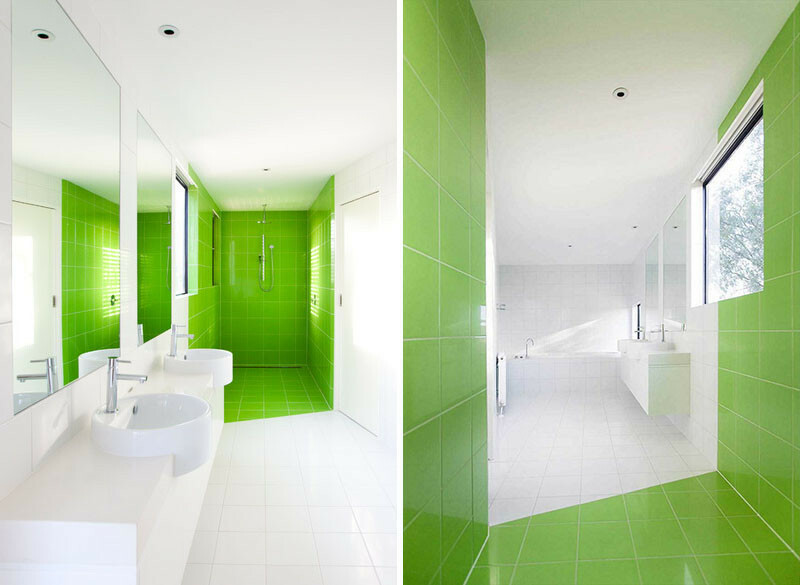 Hopefully this bathroom doesn’t turn you green with envy. Designed by Min | Day. Photography by Bruce Damonte. 8. 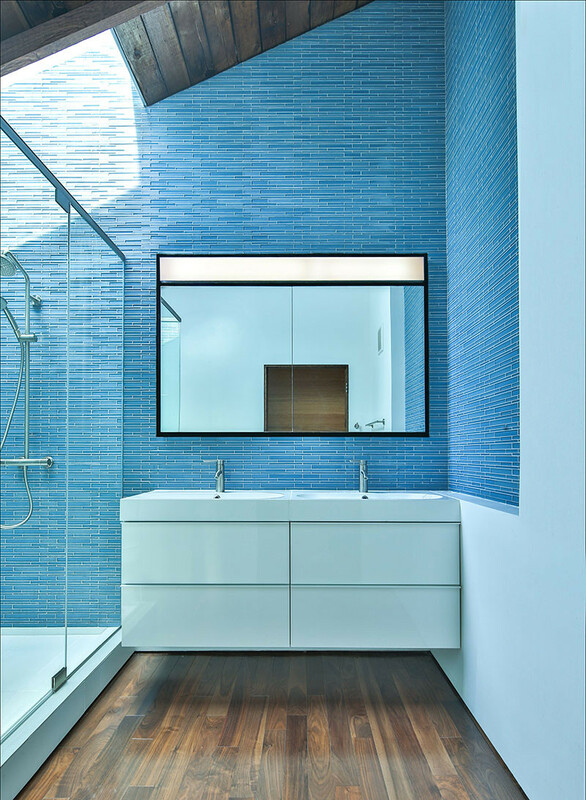 These blue glass tiles reflect the natural light from the skylight to help brighten the bathroom in more ways than one. Designed by Martin Fenlon Architecture. Photography by Zach Lipp. 9. 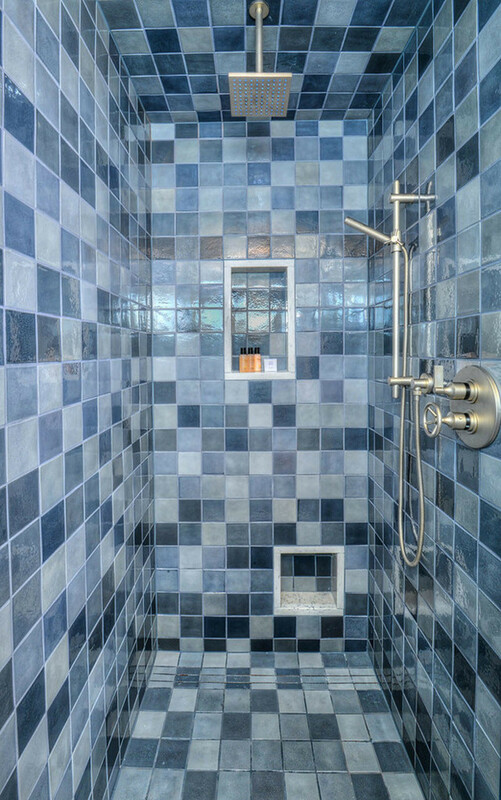 Different shades of blue have been used to create a bold statement in this shower. Designed by Anne Sneed Architectural Interiors. 10. 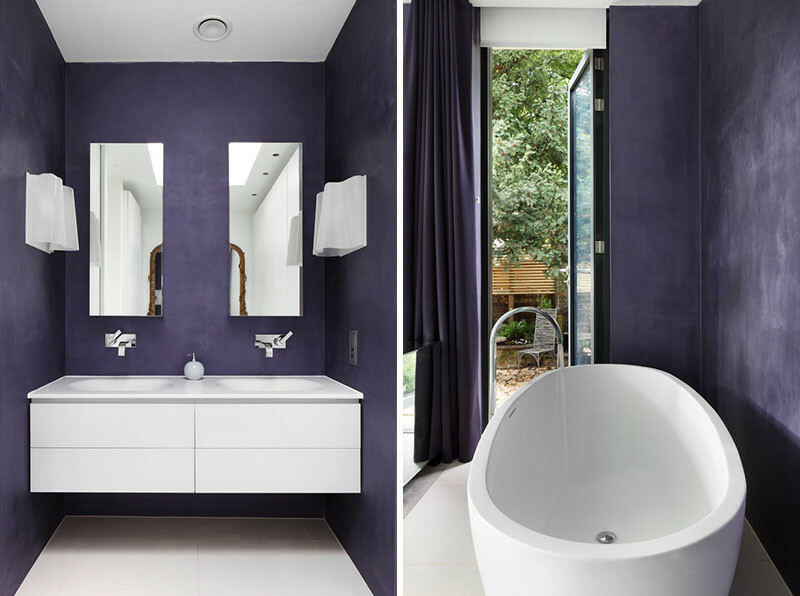 These deep purple walls add a dramatic touch to the bathroom. 11. 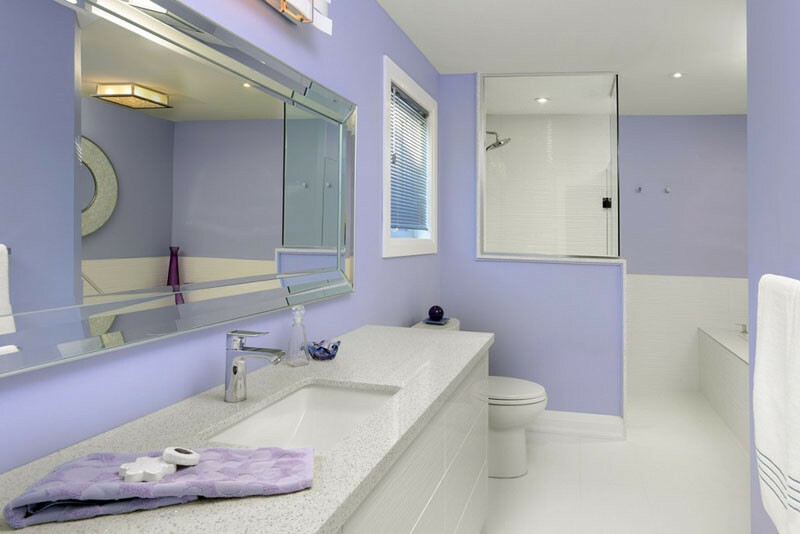 This bathroom uses a lighter shade of purple to bring in color without it being overwhelming. Bathroom renovation by ATD Contracting Services. Photography by Larry Arnal. 12. 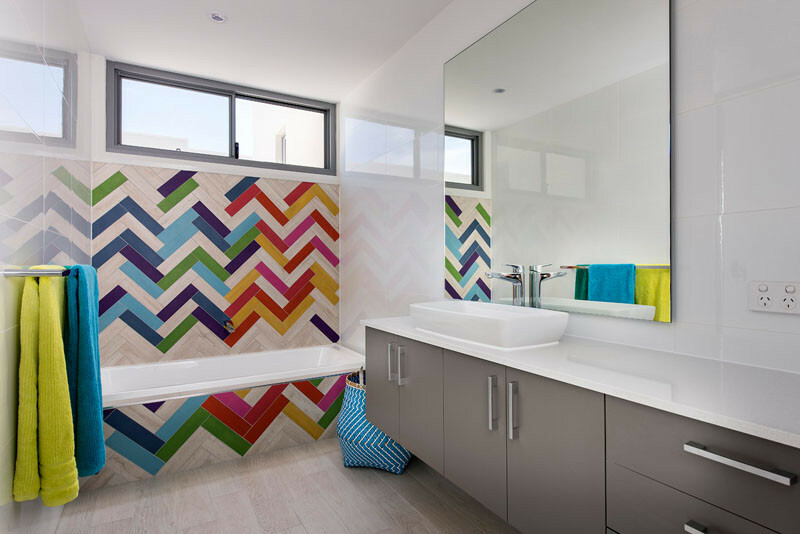 The bright pink walls in this bathroom are a fun way to add color in a kids bathroom. Designed by DesignLine Home Transformations. Photo by John Magor Photography. 13. If you can’t decide on one color, use them all! Designed by Exactus Homes. Photography by DMAX Photography.